No matter how dark life gets, there is always light at the end of the tunnel. This was the case for this survivor dog, named Lexi Ann. Lexi suffered severe burns in a house fire back in January. It was terrible as she was the only pet that managed to escape. All other pets lost their lives, including her litter of puppies. She was only lucky because the plastic kennel where she was kept in melted around her allowing her to run away. Lexi was injured and depressed. Her former owners even had to restrain her to stop her from going into the burning home after her puppies. 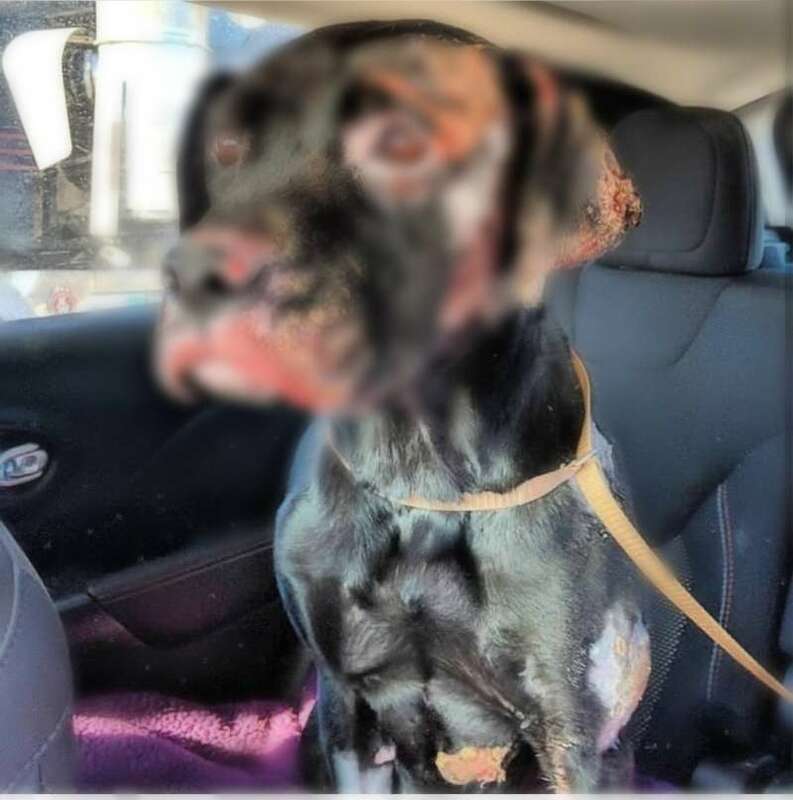 When they took Lexi to the vet, and the extent of her injuries was revealed, her owners couldn’t afford the treatment. They decided to settle for euthanasia, but the vet tech at the clinic fell in love with Lexi. There, Lexi was given to a family to be fostered. They opened an Instagram account to share her story to the world. It was then things changed around for Lexi. Travis, a firefighter in Indiana, fell in love with Lexi on seeing her photo and knew he had to have her. He drove 11 hours to meet Lexi Ann along with his family and dog, Odin. It was love at first sight for the duo. They felt an instant connection. In a Facebook post by Ruff Start, they revealed that Travis chose Lexi because he could understand the trauma fire could inflict on animals. Lexi is now enjoying all the love she deserves in her forever home. We are glad that her story turned out happy in the end. Kudos to firefighter Travis for stepping up to do the right thing! Are you a lover of stuffed decorations? Here is a quick and easy tutorial on how to make one.